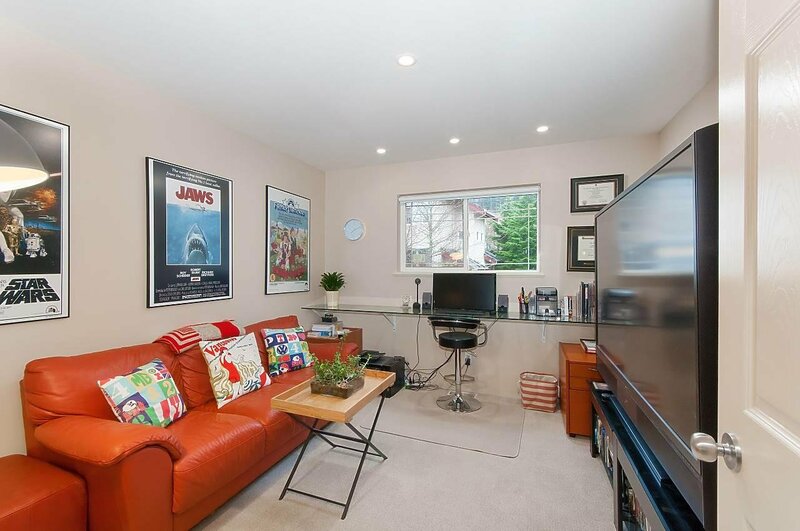 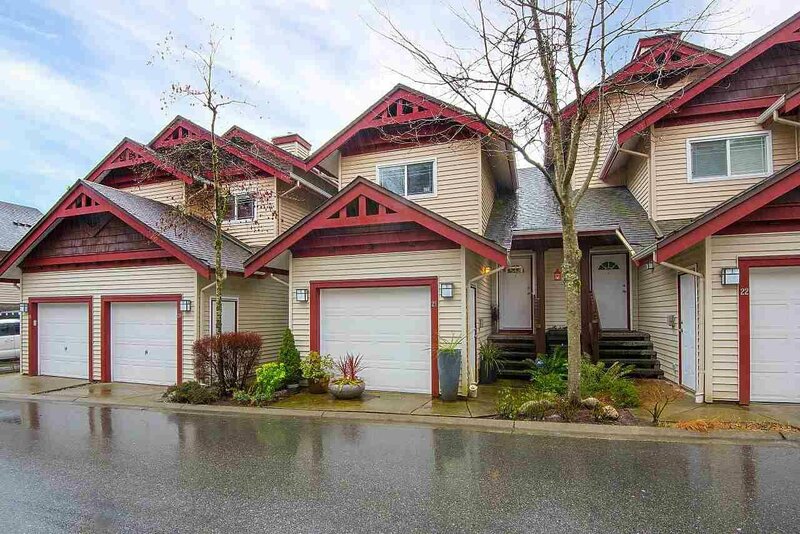 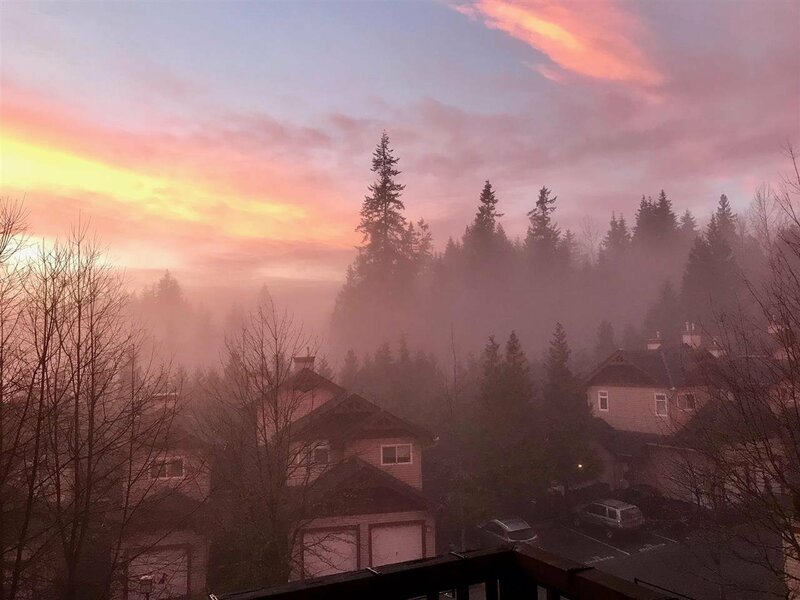 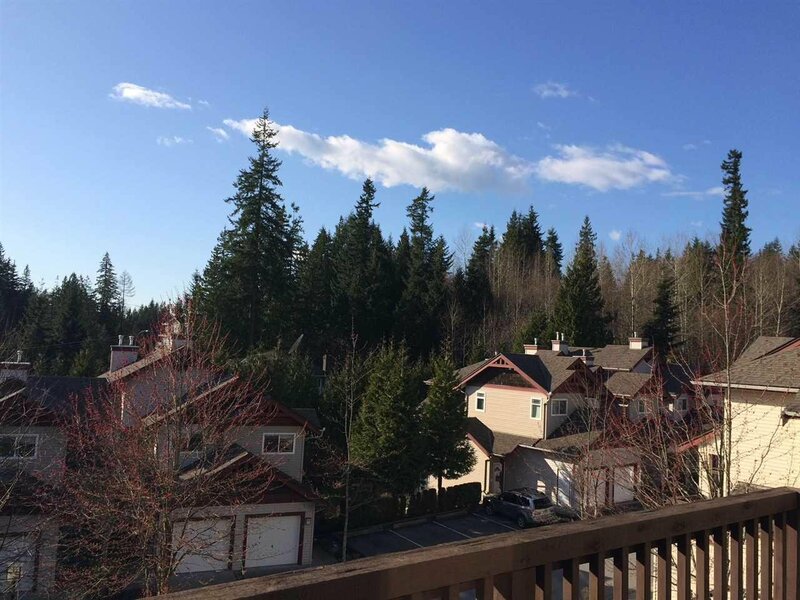 STUNNING, WEST COAST INSPIRED TOWNHOME IN DISCOVERY RIDGE!! 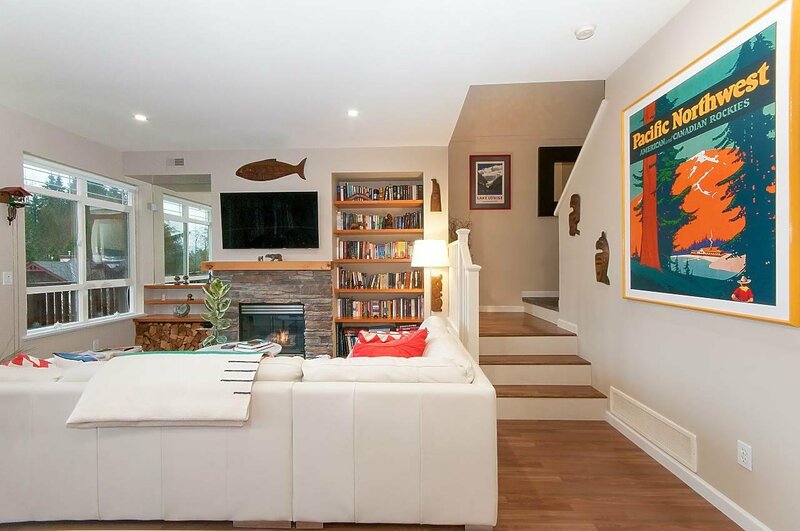 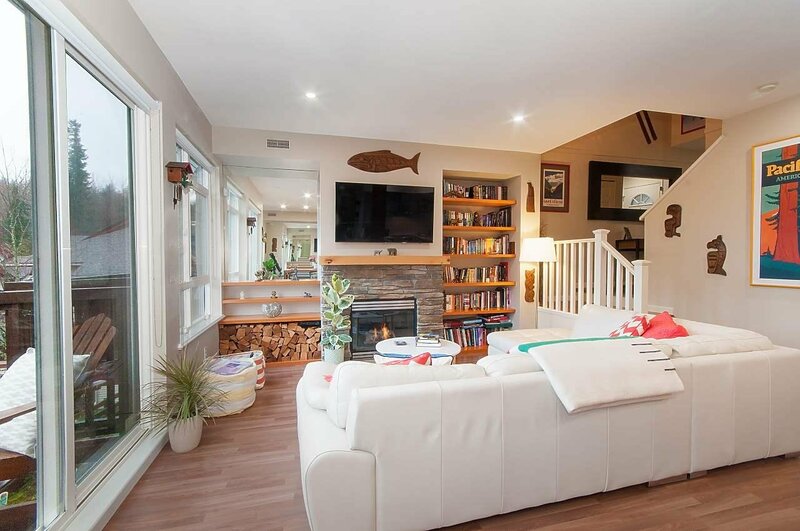 Gorgeous renos make this unique home & floor plan feel like Whistler retreat! 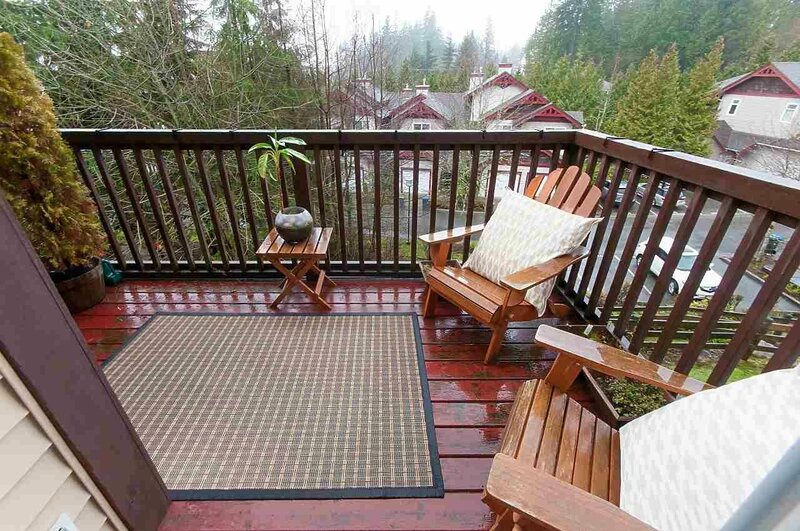 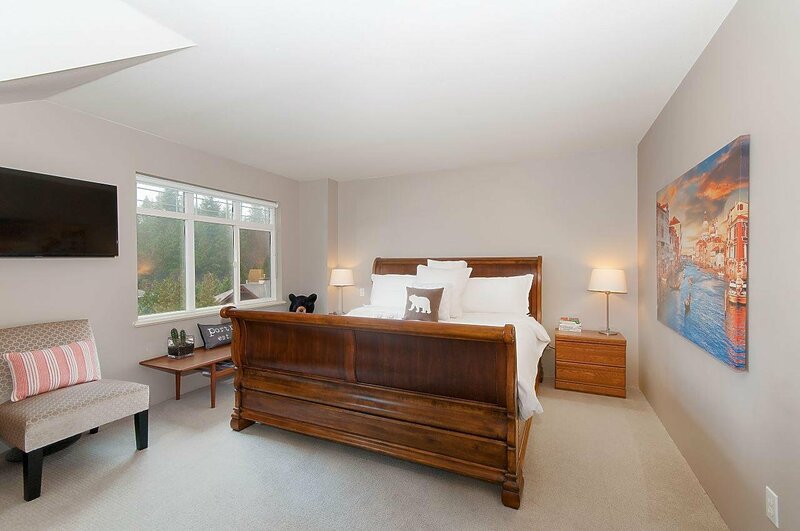 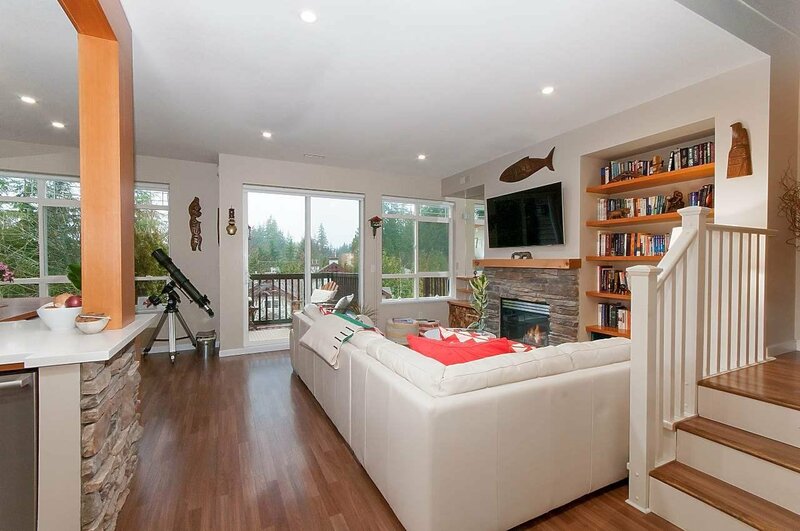 Great Room boasts stone-decked gas f/p, Alder mantel, Douglas Fir custom shelving & lam flooring. 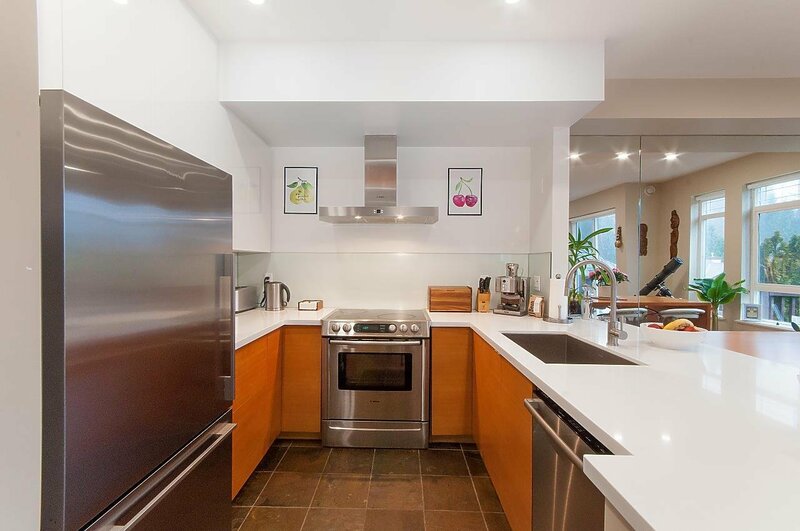 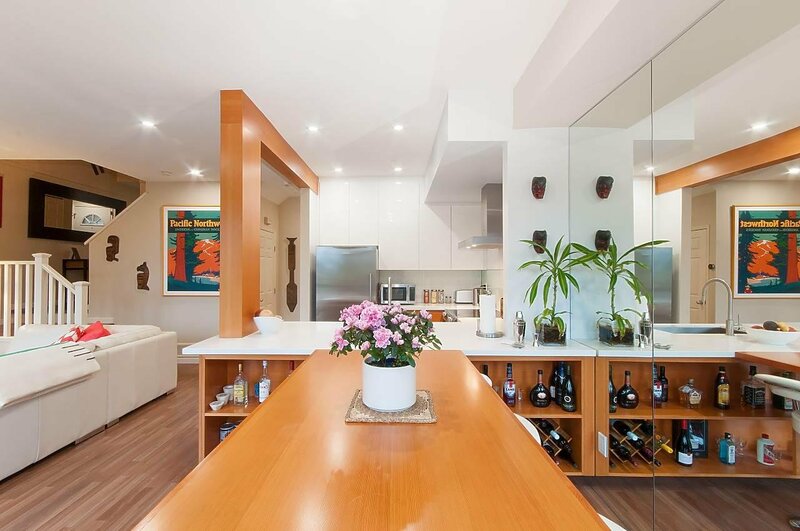 Gourmet Kitchen features Bosch & Fisher Paykel appliances, white quartz counters & glass backsplash. 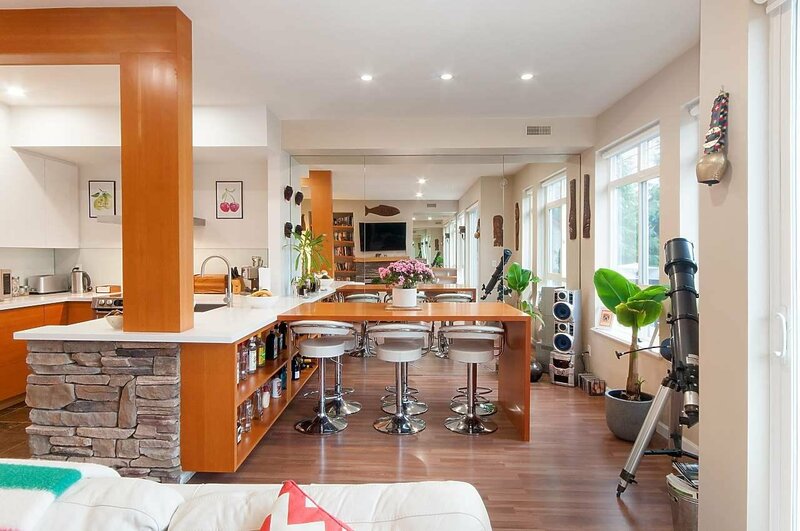 Eating Area offers built-in shelving & table, stone wall accent & full length mirrors. 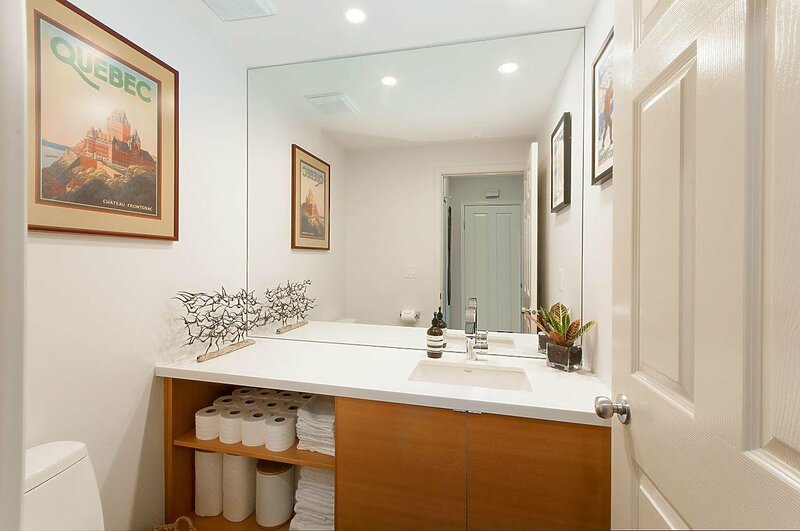 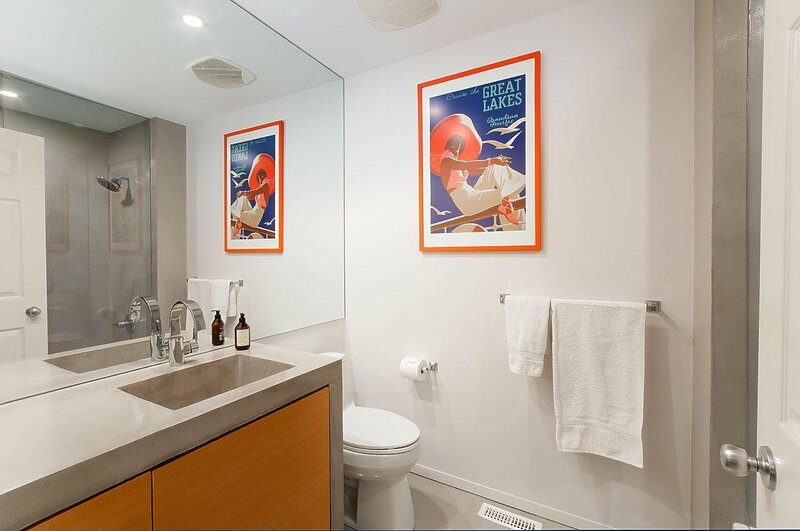 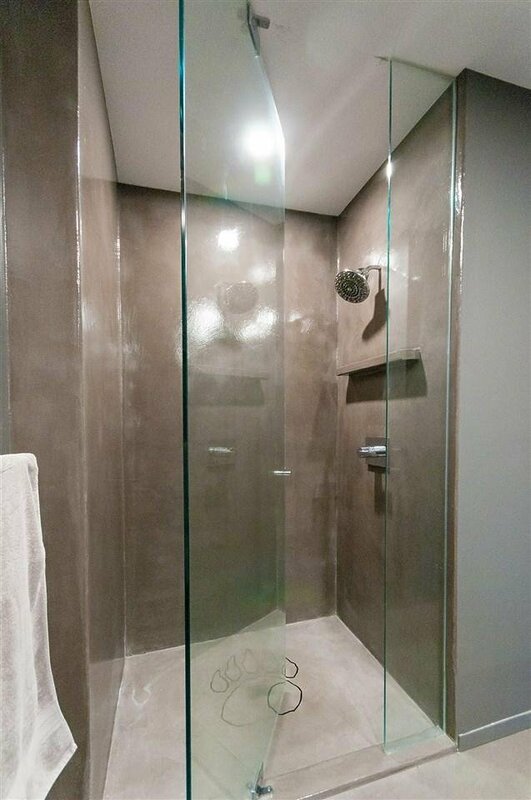 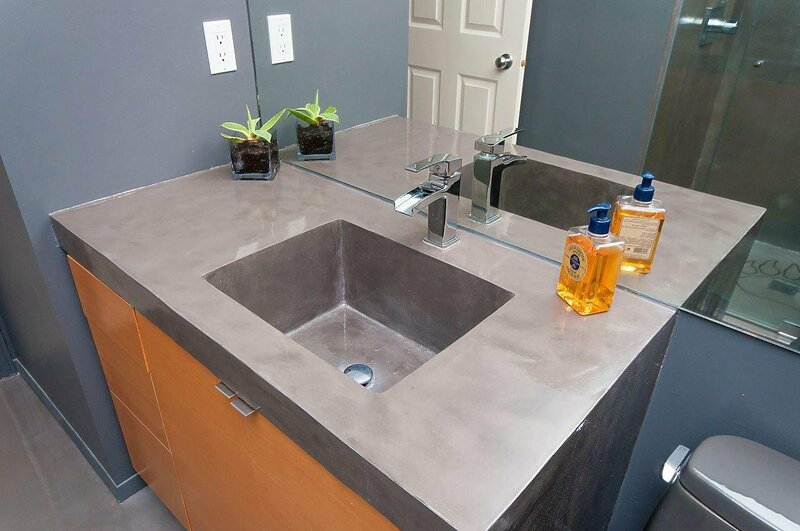 Bathrooms totally renovated with Douglas Fir cabinets, quartz & concrete counters, custom concrete showers & polished concrete floors. 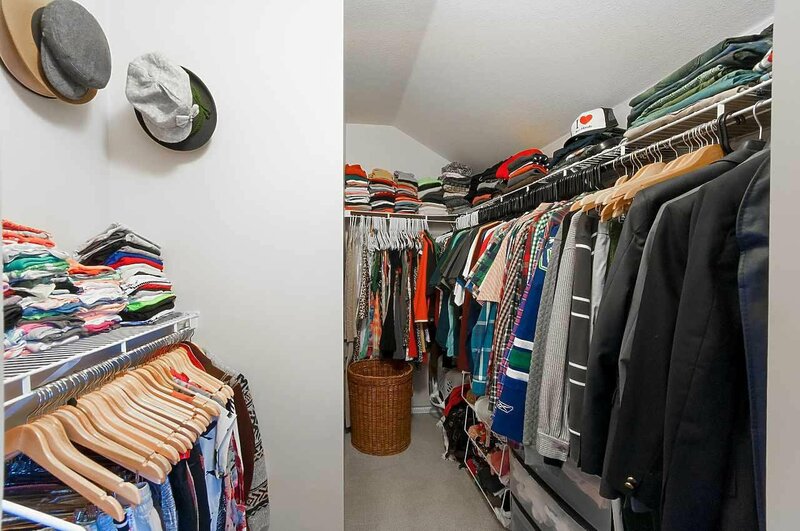 Master offers huge walk-in closet & sunset views. 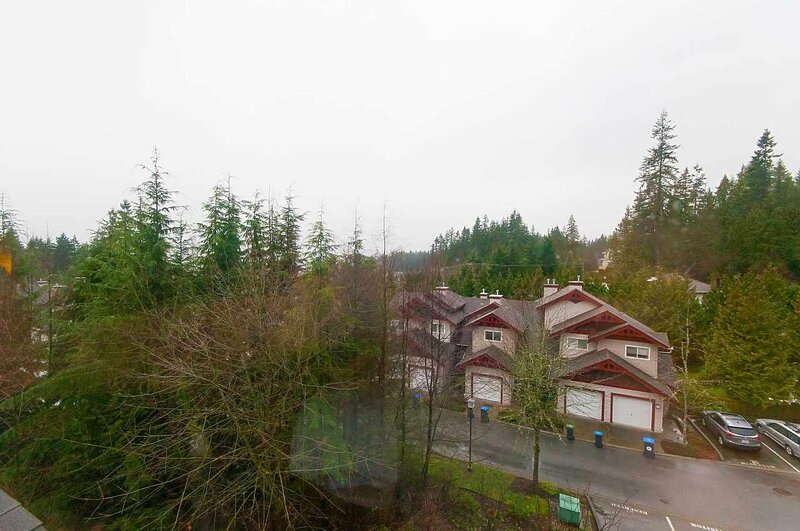 Single garage, plus 1 parking. 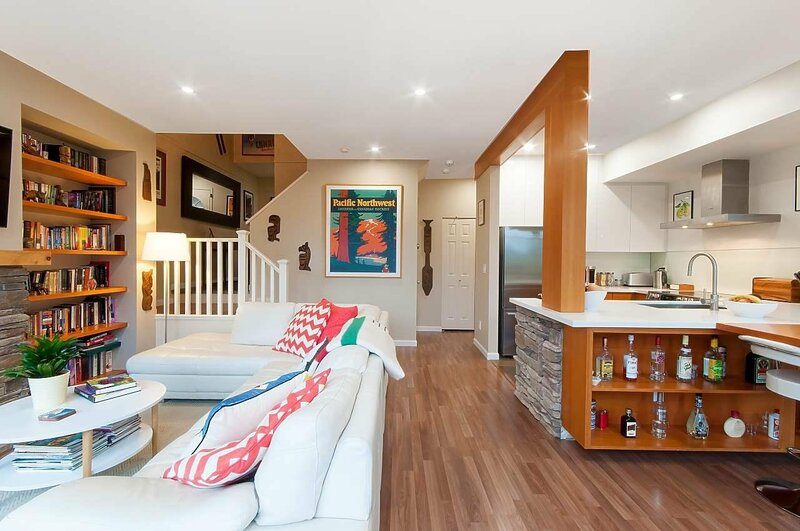 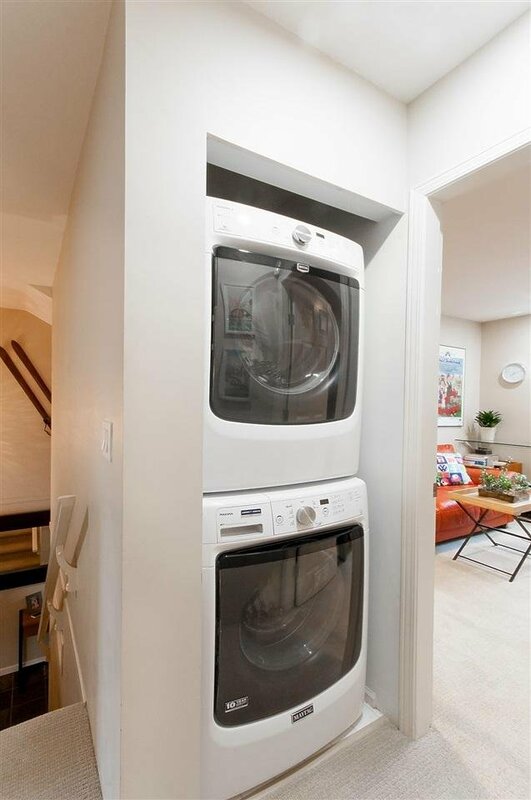 $102,000 spent in quality renovations - don't miss out!